You might be forgiven for thinking that being discharged from bankruptcy meant that you were free to get on with your life, go ahead and get more credit to start again. Nothing could be further from the truth. It is true that on discharge the debts are wiped out and that provided you have not had any other Restrictions placed on you that you are 'free' from owing money to creditors. However, there are consequences to the bankruptcy that remain for a quite a while after discharge or dismissal. The first thing you will be aware of is the fact that you are not actually debt free. If you had a mortgage before the bankruptcy and have not been making repayments then they will foreclose. They are a secured Creditor and they will have to be paid. You will also need to notify them of your discharge. If the official receiver has an order to sell your house that will still go ahead even after Bankruptcy Discharge as they have a time period of three years to do this. Normally it takes that long if there was little or no equity in your home at the time of the order. If after three years the home still hasn't been sold then you may find that it is returned to you. Your assets will remain the property of the receiver. It may take years to be dealt with fully, but meanwhile you will not get them back. The receiver will advertise in the press for creditors to come forward and make claims on you for years after dismissal. Don't expect to get any of your assets returned to you. You may think that after discharge you are free of the official receiver. Not true. If at any point they require any further information you are at liberty to provide it. Failure to do so, even after you have been dismissed, is considered contempt of court and has dire consequences. The credit reference agencies are not notified of your discharge as a matter of course. They do read the London Gazette where all bankruptcy details are printed, but they are not officially notified. It is up to you to contact them and supply the information they require to update your records. Although technically you are then free to get credit you may find it difficult for a six year period. 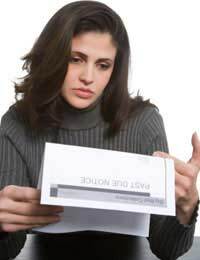 If you have recently bought a home and find that you are having difficulty getting credit it may be because it is the house that has been associated with bankruptcy rather than the individual. If you suspect this is the case you have the right to request your credit file and have all incorrect data removed.